[By 1838 British surgeon Astley Cooper reported] that many wounded soldiers died without significant loss of blood, severe pain, or serious injury. Surgeons “were in the habit of saying men died of shock.” Shock was completely separated from hemorrhage. It was recognized that soldiers could bleed to death, but if there was little obvious hemorrhage, then death was attributed to “shock,” a mysterious and indefinable death. In 1952 the U.S. Army reviewed how the the problem of shock had been dealt with during the two World Wars. Although warriors have died of their wounds from the beginning of time, the first scientific approach to an analysis of how and why they die was made during World War I. In that war the wound surgeon lifted his eyes from the shattered limb to inquire with some degree of precision about the nature of the processes that a wound may initiate in the body as a whole. Because, even if the limb were amputated and every organ of the body was sound, death was likely to occur as the terminal event of a profound disturbance known as wound shock. World War I revealed wound shock as a complex problem. Its nature was not solved nor were sufficient observational data accumulated to permit clear identification and subsequent analysis. Certain pre-existing hypotheses (vasomotor exhaustion, acapnia, adrenal exhaustion) were discredited, but other concepts inadequately supported by facts (traumatic toxemia, the distinction between shock and hemorrhage) were substituted. These concepts centered on wound shock as an entity not accounted for by hemorrhage, infection, brain injury, blast, asphyxia of cardio-respiratory origin, fat embolism, or any other clearly demonstrable lethal effect of trauma. World War I thus recognized a problem of shock but left it wrapped in mystery. 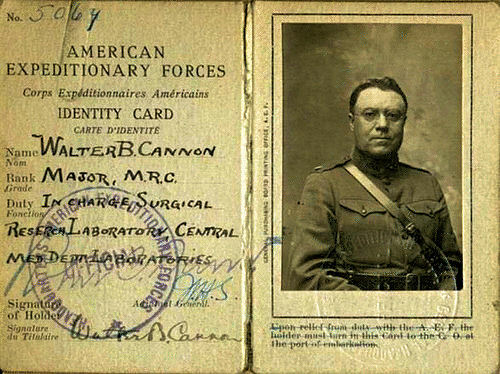 Dr. Walter Cannon of Harvard University served in a Casualty Clearing Station and Research Laboratory during the war. He would be called on to help lead U.S. research on wound shock in the Second World War. ...At the end of World War I the so-called shock problem was transferred to the experimental laboratories of medical science. Attempts were made to resolve it by physiologic and chemical techniques under a wide variety of experimentally induced circumstances. As the methods of initiating experimental shock were multiplied, the term itself became broadened, so that it included a number of processes that appeared to have one feature in common—a reduced effective volume flow of blood with inadequacy of the peripheral circulation and resulting tissue asphyxia. In the clinic as well as the laboratory, shock became separated from wounds, and "medical shock," "obstetrical shock," "burn shock," "shock due to infection," and other types were described as entities. 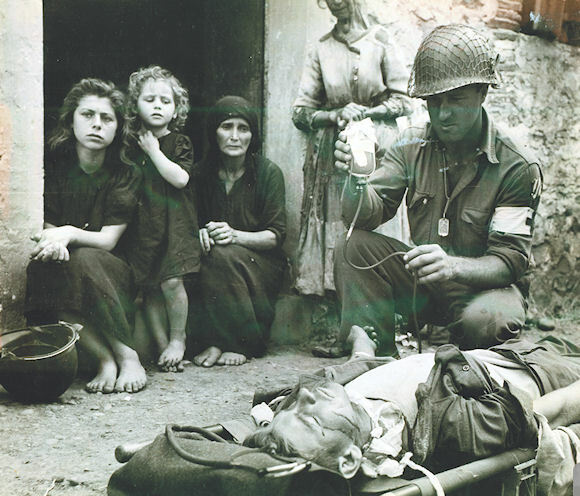 World War I showed the need for blood in the treatment of “wound shock,” a lesson that had to be relearned in World War II through bitter experience. 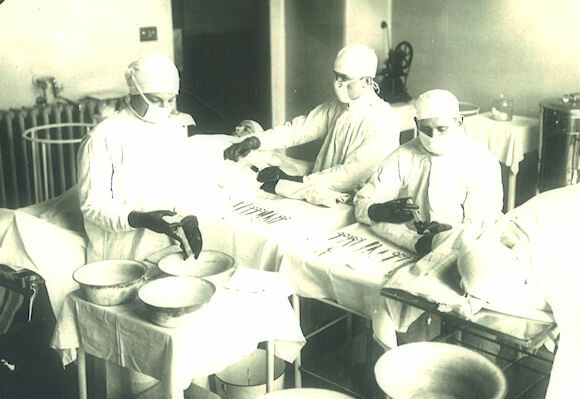 Studies in the Korean War described the concept of disseminated intravascular coagulation [abnormal clumps of thickened blood (clots) forming inside blood vessels]. These abnormal clots use up the blood's clotting factors, which can lead to massive bleeding in other places and multiple organ failure, and the existence of disseminated intravascular coagulation was confirmed by studies in Vietnam. The treatment of hemorrhagic shock is now very effective, but the treatment of traumatic and septic shock remains unsatisfactory. Also see our Roads article by James Patton, "Blood Banks Began in WWI."